A quadcopter, which is sometimes also referred to as quadrotor helicopter is usually lifted by four rotors and propellers. 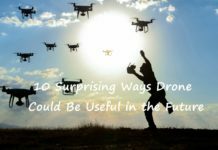 This article contains detailed information about the propellers of a quadcopter, its properties, and what should be kept in mind before buying one for your new or even existing quadcopter. To put it in simple terms, a quadcopter propeller is nothing but a fan for your drone. The prime purpose of the quadcopter propellers is to generate thrust and torque that keeps your drone flying and to maneuver your drone. The basic introduction of quadcopter propellers is fans that generate thrust to keep your drone flying and moving. The thrust is the force that is generated upwards by the propellers and is measured essentially in either grams or pounds. The thrust force that is generated upwards needs to be equal to the weight of your drone in order to keep it flying or keep it at hover. There is a ratio known as thrust to weight ratio (TWR). This ratio indicates that how much of upward thrust is being generated by the drone in relation to its weight. It is advised to keep this thrust to weight ratio at least 2. 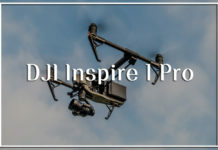 There are various kinds of YouTube videos and tutorials that provide you with information and introduction of quadcopter propellers and other details about its functioning. Different types of propellers generate different types of thrusts when they are stationary or when they are flying depending on their type. It is advisable to identify which set of propellers spin which way. One set of propellers are designed to spin clockwise, and another set of propellers is designed to spin counter-clockwise. One of the kinds of quadcopter propellers are folding propellers. These propellers are usually found on drones and model airplanes. The folding propeller is one kind of propellers in which its blades fold on the outside on its own when you start the engine and they fold inside automatically when the engine is stopped by you. These gears are designed to open and close in unison and hence, they are geared together. This kind of folding propellers are mainly used to be two-bladed in the past, but as of now, over the recent years, three-bladed and four-bladed propellers have also been introduced and are used extensively for drones and different kinds of model airplanes. There have been a lot of debates regarding the pros and cons of folding propellers, it’s use and functionality. These propellers consume less fuel, they make less noise and vibration than the fixed propellers. However, they are poor performance-wise and are more expensive than the fixed propellers comparatively. There are a lot of sellers online and offline and various merchants who specially provide different kinds of folding propellers of numerous sizes according to the requirements of the client. E-commerce giants like eBay and Amazon even provide home delivery for these products if necessary. 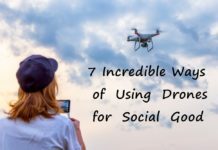 The direction of the quadcopter propeller and it speeds is what makes it possible for the drone to hover in place as well maneuver smoothly from just a touch on the remote control stick. In order to understand the performance of your quadcopter propeller, the knowledge of the pitch of the propeller becomes essential. The pitch of a quadcopter propeller is a measurement of basically how far the drone will move on a single rotation of the motor or the propeller through the air. 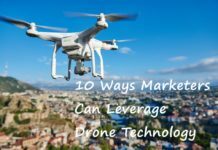 The speed of the plane or drone will be faster if the value of the pitch is on the higher side. 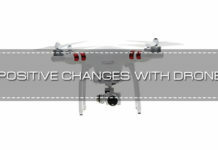 Whenever you need to change the performance of the drone or plane dynamically, a change in the pitch is all it takes to do it. The angle of the propeller is also of utmost importance. A flat propeller will not generate any kind of lift just like a propeller which is steeply pitched. It is easier for the motor to rotate the blade through the air if the blade is towards the flatter side. 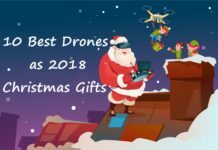 Cheap toy grade planes and low-end quadcopters are usually equipped with motors that have very low or below average power and it becomes difficult to generate lift in such conditions. Drones or quadcopters are able to fly because thrust is generated by the propellers. This thrust is generated when the propellers are spinning and moving the air that is around it. The faster the propeller spins, the more amount of air it will move and the thrust that is generated becomes maximum as a result of the above conditions. 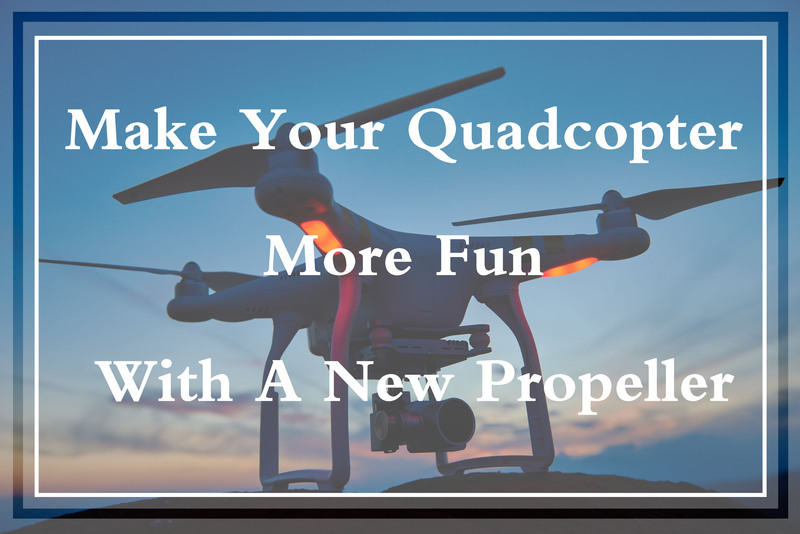 If you want to increase the current draw of your quadcopter or drone, you can achieve it by increasing the pitch of the propeller that in turn will increase the thrust that is generated. 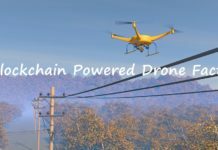 In simple terms, the higher is the pitch of the propeller, the faster will be the speed of your drone or quadcopter, but it will also use more power as compared to a lower pitch. The size of a quadcopter propeller is essentially the distance from its one tip to its other tip. It is usually believed that larger propellers generate more amount of thrust at a given speed than it’s smaller counterpart. It is a misconception that the bigger the size of the propeller faster will be the airplane or the drone. But this is not true. 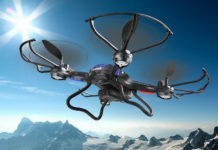 A larger size of the propeller does not mean that the drone or airplane will fly faster. That is determined by the pitch of the propeller and this is basically the difference between the propeller size and propeller pitch. The surface area of the propeller also plays an important role in the amount of thrust that is generated by the propellers. The more the surface area of the propeller, higher will be the amount of thrust that will be generated by them. But this usually comes at higher cost. More thrust is generated because the higher surface area moves more air around the propellers which in turn increases the amount of thrust. Deciding the length of the quadcopter propeller is also essential before you buy any kind of propellers for your quadcopter. 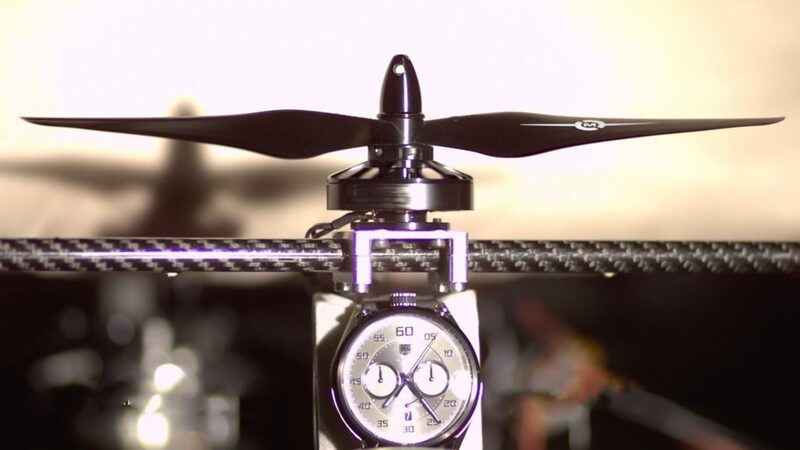 The length of the frame of your quadcopter is the determiner of the length of your propeller. One of the easiest ways to obtain the maximum length of the propeller that you can use for your quadcopter can be done by measuring the length of the frame of the quadcopter and then dividing it by 2. Then make the necessary subtractions so as to allow the movement of adjacent propellers. Most of the manufacturers that produce drones and model airplanes usually provide you with a motor thrust test data. 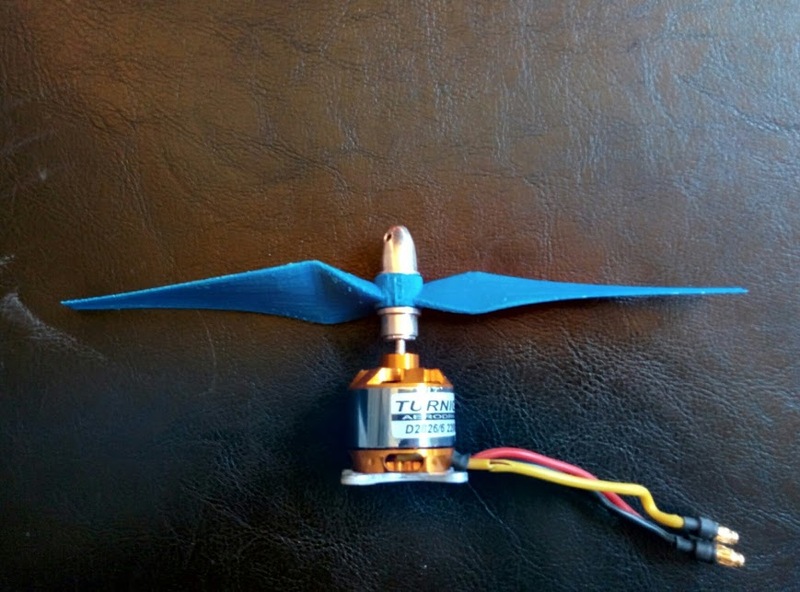 Examining and understanding this data is very important before you buy a quadcopter propeller because even the same propeller on two different kinds of motors will provide you with different results because of the difference in the design and motor power. 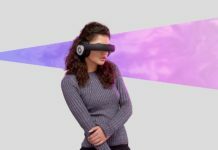 But one thing that should be kept in mind and it is also advised by professionals and experts is that every consumer should remember that this kind of tests is usually conducted in a static and hostile environment. 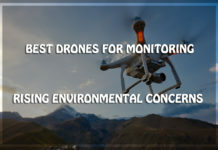 As a result, their thrust results might be different and their behavior might change according to the conditions of the actual environment that you are going to fly your quadcopter in. As compared to the results from the bench tests provided by the manufacturers, you are expected to experience at least 5% to 10% less in actual environments. The thrust of the quadcopter propeller becomes one of the most important contributors in determining the speed of the quadcopter. 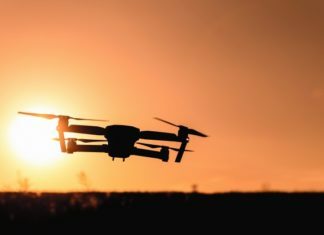 As discussed earlier in the article, thrust is basically determined by the pitch of the propeller and that is why the pitch of the propeller becomes a determinant in the speed of the quadcopter. All the components and properties of the quadcopter are related to each other in some or the other ways. There are many people who tend to refer to a propeller that has a high pitch as a heavy propeller. 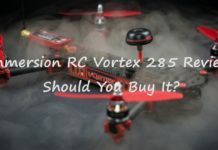 This reference is not true and can be pretty confusing for the amateurs who are new to this field and want to buy a propeller for their quadcopter or drone. Many people feel that a propeller which is lighter in weight is more efficient in terms of performance as compared to those which are heavier in weight. 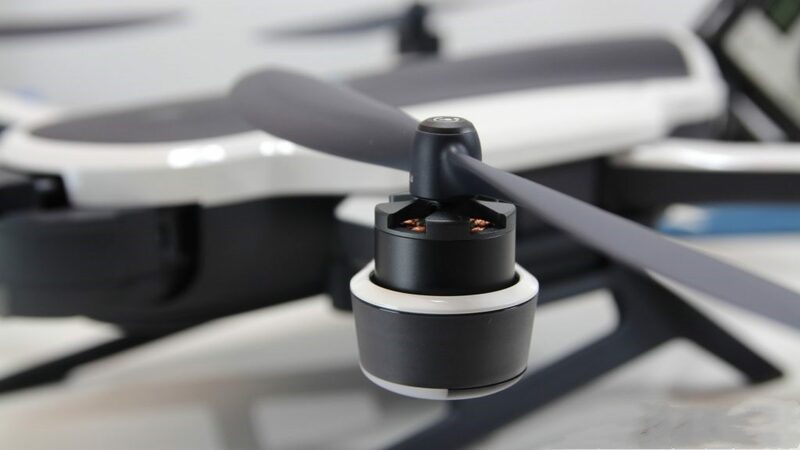 The weight of the propeller also becomes an essential determinant and while buying a propeller, care should be taken to determine what kind of weight is required for your quadcopter propeller. A heavier propeller might require a motor that has a higher amount of torque. But a lighter propeller usually carries a lower amount of inertia. This facilitates faster revs per minute and this can make your quadcopter more responsive as compared to that with a heavier propeller. 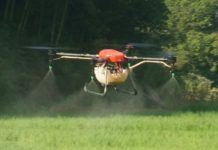 These propellers also work more efficiently over a different range of motors as they don’t require as much amount of torque that is required by its counterpart. The distribution of weight of the propeller is also important and should be taken into account as it affects inertia and revs per minute of the propellers of your quadcopter. 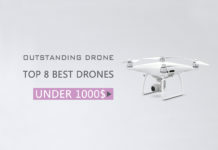 This makes a great difference in the efficiency and performance of the quadcopter. It is advised to keep the center of the mass of the propeller more closer to the hub. If it is far away from the hub, it will be harder for the propeller to speed up and slow down. The material of the propeller is also an important decision that should be made before selecting any kind of quadcopter propeller. There are various kinds of materials that are available but propellers for drones and quadcopters are usually made out of a particular compound of plastic. The durability, as well as the stiffness of the propeller, is determined extensively by the material that is used to make the propeller. 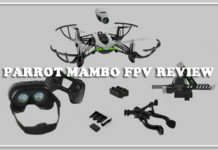 Drones and quadcopters are usually used for shooting videos and selecting a proper propeller for your quadcopter will help in achieving better stability, good battery life and also better quality of videos. Basically, there are three types of materials for the propellers that are popular among quadcopter and drone owners. Firstly, there are carbon fiber propellers which have their own set of advantages as well as disadvantages. Carbon fiber propellers are stiffer and don’t make much noise as compared to plastic propellers. Carbon fiber is essentially known for being the most lightweight as well as the most rigid of all materials. However, one of the biggest advantages for those buyers who are on a budget is that it is very expensive and it has less thrust than its plastic counterpart. The other two types of material for the propellers are durable plastic and wooden propellers. 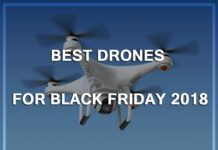 Wooden propellers are not very popular among quadcopter owners and its use is very rare nowadays. 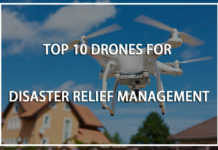 However, durable plastic is used by most drone owners who have quadcopters as a hobby as it is less expensive and also much more flexible than its other counterparts. 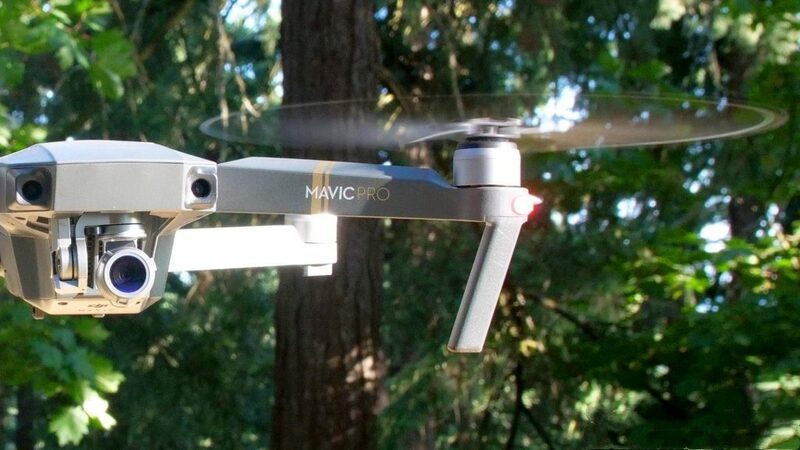 However, it affects the performance of the quadcopters because of vibrations. In terms of the number of blades present, there are essentially three types of propellers that are present in the market- two-bladed, three-bladed, and four-bladed. In general, two-bladed propellers in quadcopters are believed to be more efficient when we talk about the thrust that is generated in comparison with the three bladed and four-bladed propellers. Most of the quadcopter owners believe that more the number of blades present on their propeller more will be the speed of their quadcopter. It is true and perfectly believable. But this speed comes at the cost of reduced efficiency as number of blades decreased the efficiency. Hence choosing the number of blades for your quadcopter propellers becomes a daunting task as wise decisions have to be made before selecting the most suitable propeller for yourself. There are even five-bladed and six-bladed propellers that are present in the market. 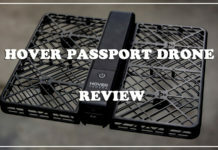 But these are usually a suitable choice by quadcopter owners as they reduce the efficiency of their devices which is not usually acceptable by the owners. Three-bladed propellers are said to be the most effective propellers as they are much more responsive than the other propellers. Bull nose propellers are a kind of quadcopter propeller that has recently gained popularity and are being used by most of the people who have modern quadcopters. While we were discussing how the size of the propeller, we understood how the surface area of the propeller affects the thrust that is generated by the propeller. The bull nose propeller works on this very model of the surface area. The more the surface area of the propeller, the more air it will push around it and the more thrust it will generate. However, there is always a downside to everything. The increased surface area does generate more thrust, but it draws much more current and drag, which, as a result, decreases efficiency altogether. Bull nose propellers have a much greater surface area, the result of which is that it generates more thrust. 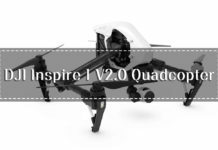 This increases the stability of the quadcopter and these kind of propellers are much more suitable for applications such as photography and aerial filmmaking. As we discussed earlier, more surface area increases the weight of the propeller and this weight is actually added away from the hub. This further increases the inertia for the moment and more torque is required to be applied by the motor. Checking for damage to the propeller is of utmost importance when your quadcopter or drone has crashed. Whenever you crash your quadcopter, make sure that you check for any kind of damages to the lining of the propeller. If you notice a few scratches on the propeller, then you need not worry and you can easily fly your quadcopter. But if there are any kind of cracks or if the propeller is nicked, then it is not advisable to fly the device as it will be noisier which in turn will increase vibrations. This will put an adverse effect on the motor of the quadcopter due to the imbalance. All the major points and details that are required and important about quadcopter propellers have been explained in the above article. We have provided our readers with a better understanding of the specifications of the propellers and how they affect the performance of a quadcopter. 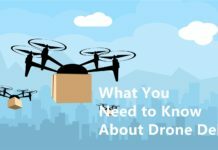 So if you are an amateur quadcopter pilot, it is necessary that you first understand the sizing and structure of the quadcopter or drone. However, if you are building the drone from scratch on your own, then you already have a better idea as to what kind of propeller in terms of size, weight and number of blades will be required for your quadcopter as you have perfect knowledge of the dimensions.